Do you think we should ban smoking in public places and office building? Home Writing	Do you think we should ban smoking in public places and office building? In some countries people are no longer allowed to smoke in many public places and office buildings. Do you think this is a good rule or a bad rule? Not allowing smoking in public places and office building is a very good rule. I believe this for several reasons .Not only will banning smoking improve people’s health, it will also increase worker productivity and reduce conflicts. we all know smoking is not healthy. Unfortunately, when smokers are able to smoke in public buildings, they can make other people sick . They may work with people who are allergic to smoking, for examples. In that case , the non-smokers have no choice unless they want to quit their jobs. They can only get sicker , which is unfair .Of course , banning smoking in public buildings and offices will please non-smokers. It will also improve the smokers’ health. They will have fewer opportunities to smoke, so they will smoke fewer cigarettes. Banning smoking in office buildings can also increase worker productivity. Smokers won’t interrupt their work all the time to smoke. There will also be fewer worker absences. When smokers cut down the number of cigarettes, they will get fewer smoking related illnesses. Finally, it is a good idea to ban smoking in public places and office buildings because a ban can reduce conflicts. 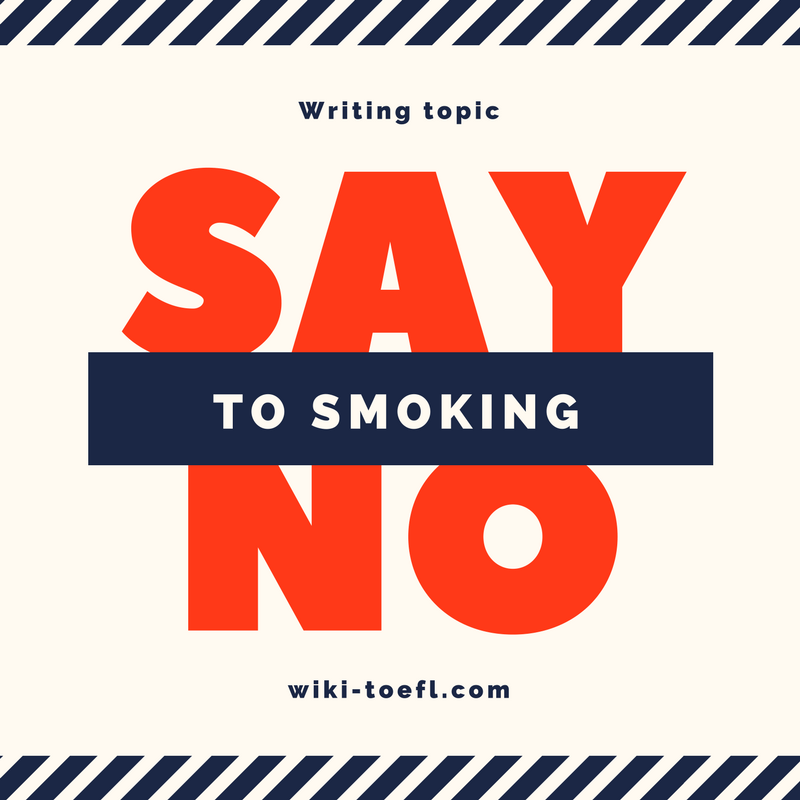 Non-smokers tend to get annoyed and jealous because smokers have an excuse to take frequent breaks .The most significant conflict, however, is over whether smokers have a right to smoke in public . As we have already seen, non-smokers feel they are not always given a choice. If smoking in public is allowed , they will be forced to breathe harmful air. This may violate their rights, and non-smokers are angry with smokers because of it. It seems clear that banning smoking n public places and office buildings is a good idea. It will reduce conflict and increase productivity. It will also benefit health of smokers and non-smokers alike. I believe that just about anything that improve our health is a good idea!